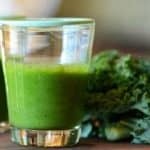 I know that not everyone likes the taste of raw veggies – no matter how healthy they are. And if you don’t like the taste you aren’t going to drink the smoothie; that’s just human nature. 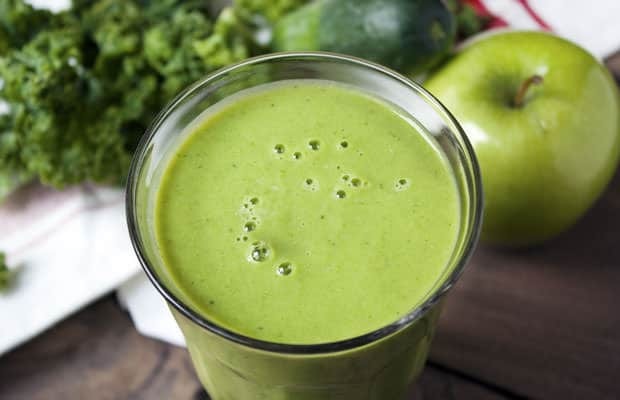 This green smoothie uses apple juice which has a nice, sweet flavor that hides the taste of the veggies. 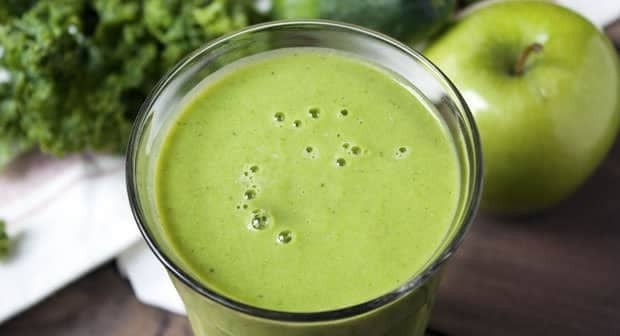 If you aren’t a fan of raw veggies you’ll be a fan of this smoothie because the veggie taste is well disguised. 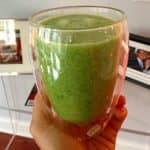 Place all the ingredients in your blender, what I use and my recommendations here, and blitz on high until smooth and frothy. Enjoy immediately or place in a thermos for later.